Patients suffering from PPD can greatly benefit from utilizing the educational resources below. With a proper diagnosis being the first step toward recovery, education about the PPD diagnosis is the second and equally necessary step! Learning about PPD and fully understanding what does and (more importantly) what does NOT cause your symptoms and why is the process by which you can begin to eliminate your PPD symptoms by treating it at the source. Remember, PPD symptoms are real and debilitating and while it’s NOT “all in your head”, the origin of your symptoms begins in your brain. To find a doctor/therapist who can diagnose and treat PPD, visit our directory. Health professionals can benefit from our educational resources and bibliography of published research to understand this evidence-based approach to treating chronic pain and functional syndromes. The first stage of any new field of science is observation. The books listed below describe clinical experience with thousands of PPD patients. Written by clinicians from diverse training and practice backgrounds, these thoughtful summaries are an essential foundation for hypotheses that can be tested by randomized clinical trials, which are currently underway. These observations also inform study of the physiology of PPD. With fMRI scanning of the central nervous system, we at last have a tool that is beginning to unravel the anatomic and physiologic basis of PPD symptoms. We expect scientific understanding of PPD to continue its growth. As new research is published, we will add to the published research bibliography below. We also offer continued medical education courses both in-person and online. Do you have hidden stress? Our screening test will help you determine if hidden stress can be a factor in causing your medically unexplained symptoms. Developed by David Clarke, MD (PPDA President). By Alan Abbass, MD, and Howard Schubiner, MD. (2018) Using cutting edge psychotherapeutic and neurophysiologic principles, Hidden From View explains how the brain developed neural pathways that cause symptoms, such as headaches, irritable bowel and bladder syndrome, fibromyalgia, fatigue, insomnia, and chronic neck and back pain. It illustrates powerful emotion focused interviewing techniques to both detect and treat psychophysiologic disorders. Hidden From View empowers physicians, social workers, psychologists, nurses, physical therapists and coaches to understand and diagnose psychophysiologic disorders, and provide educational, cognitive-behavioral, and emotion focused therapies. This will help your patients eliminate, rather than simply cope with, these conditions. By James Alexander PhD. (2012). The author's life was redefined by a tragic car accident followed by chronic physical and emotional trauma. Now pain-free, Dr Alexander has dedicated the last three decades of his life to helping others overcome similar challenges. His success is proof that recovery from chronic pain is possible. By Frances Sommer Anderson PhD and Eric Sherman PsyD. (2013) A book for therapists and the public summarizing decades of experience diagnosing and treating PPD. Available in paperback or for the Amazon Kindle (or Kindle app). They Can't Find Anything Wrong! By David Clarke, MD. (2007) Uses dozens of case histories to illustrate the many hidden life stresses that can cause physical symptoms. Discusses effective treatment techniques in detail. All author profits are donated to the PPD Association. By David Hanscom, MD. (2012). 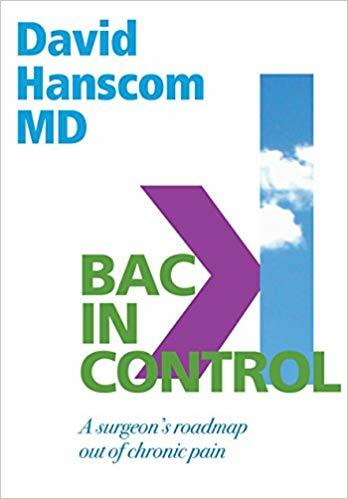 Focuses on an aspect of chronic pain that the medical world has largely overlooked: you must calm your nervous system in order to get better. Has helped hundreds of patients. By Donna Jackson Nakazawa. (2015) Shows the link between Adverse Childhood Experiences (ACEs) and adult illnesses such as PPD, heart disease, autoimmune disease, and cancer—Childhood Disrupted also explains how to cope with these emotional traumas and even heal from them. By Georgie Oldfield. (2014) Reveals how very real, and even debilitating pain, can frequently be caused by our brain in response to repressed emotions as a result of current and even past experiences. By John Sarno, MD. 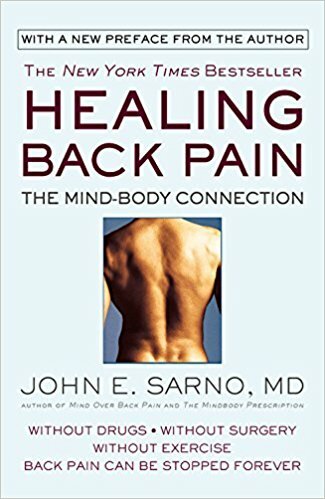 (1991) Dr. John E. Sarno's groundbreaking research on TMS (Tension Myoneural Syndrome) reveals how stress and other psychological factors can cause back pain-and how you can be pain free without drugs, exercise, or surgery. By John Sarno, MD. (2007) The Divided Mind is the crowning achievement of Dr. John E. Sarno's distinguished career as a groundbreaking medical pioneer, going beyond pain to address the entire spectrum of psychosomatic (mindbody) disorders. By John Sarno, MD. (1999) Reveals how many painful conditions- including most neck and back pain, migraine, repetitive stress injuries, whiplash and tendonitis- are rooted in repressed emotions and shows how they can be successfully treated without drugs, physical measures or surgery. By David Schechter MD. (2014) You will learn how chronic pain becomes a condition of the brain as much as the body. Shows you how to use the immense power of your thoughts and beliefs to literally change the neural circuitry of your brain. By David Schechter, MD (2019). TMS is a way of understanding and treating pain that focuses on the psychological rather than the structural or chemical. This book attempts to explain that mind-body connection, clarify who is a candidate for this approach, and detail the relevant psychology of the condition. The treatment for TMS is education and psychological insight, hence the emphasis on educational materials in this field. By Howard Schubiner, MD. (2016) Using cutting-edge research, this book demonstrates that the underlying reason for the majority of anxiety and depression is sensitization of certain areas of the brain and learned neural pathways. Dr. Schubiner has used this new understanding to develop a unique program to actually reverse anxiety and depression. By reading this book, you'll be able to determine if you have this syndrome and how to overcome it. 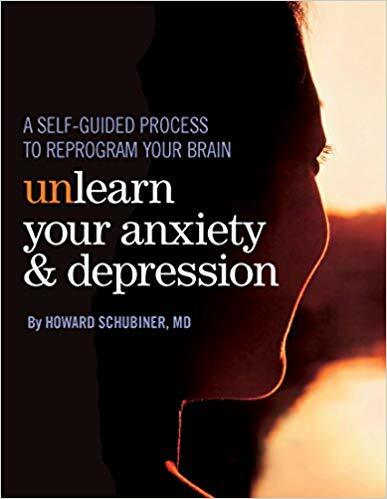 The program in this book gives instruction on emotional processing, therapeutic writing exercises, and everything else you need to unlearn your anxiety and depression. Access to online audio meditation exercises is included with purchase. Note: The final 7 chapters and the audio meditations are identical to that of Unlearn Your Pain, third edition. You can obtain the first 5 chapters on the kindle version. By Howard Schubiner, MD. (3rd Edition 2015) Reversing chronic pain is possible by understanding its underlying cause. 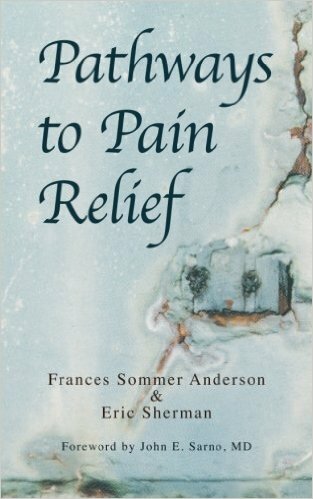 This book explains that most pain is due to learned nerve pathways. It helps you determine if you have PPD and how to cure your pain with a revolutionary step-by-step process. A mobile app for treating mind-body disorders at the level between a great PPD book and a session with a PPD Practitioner. Several of the PPDA Board members are also Scientific Advisory Board members of Curable. Our web series that includes videos about the PPDA and our work, as well as a preview of our online continued medical education course about PPD (mindbody disorders). Help us reach our goal of 1000 YouTube subscribers so we can be eligible for free access to the YouTube Space production studios. This will allow us to create more CME courses and recovery resources. An engaging web series by Jessica Shahinian (PPDA Outreach Director) on how to diagnose and treat PPD (aka Tension Myoneural Syndrome) with bright illustrations that make this series easy to watch and share. Jessica also shares how she made a rapid recovery from over 30 PPD symptoms that threatened to end not only her dance career, but also her life! Georgie is the founder of SIRPA, an organization dedicated to promoting the concept that pain can be due to learned nerve pain pathways rather than physical abnormality, hence full recovery is possible once the pathways are reversed. As well as treating patients and training health professionals, Georgie gives talks and writes widely about the concept. The Pain PT was founded by Jim Prussack, a licensed physical therapist. The mission of The Pain PT YouTube channel is to educate people about the impact of the brain and nervous system in chronic health disorders and how they can tap into the power of the mind-body relationship to heal. A playful web series about mind-body medicine hosted by two psychotherapists at the Pain Psychology Center, Daniel Lyman, LCSW, and Christie Uipi, MSW. Learn what causes MindBody Disorder (PPD) and how to recover in this 1hr 52min introductory webinar led by John Stracks, MD. This 1hr 43min webinar by John Stracks, MD about MindBody Disorder (PPD) features PPDA Board member and spine surgeon David Hanscom, MD. 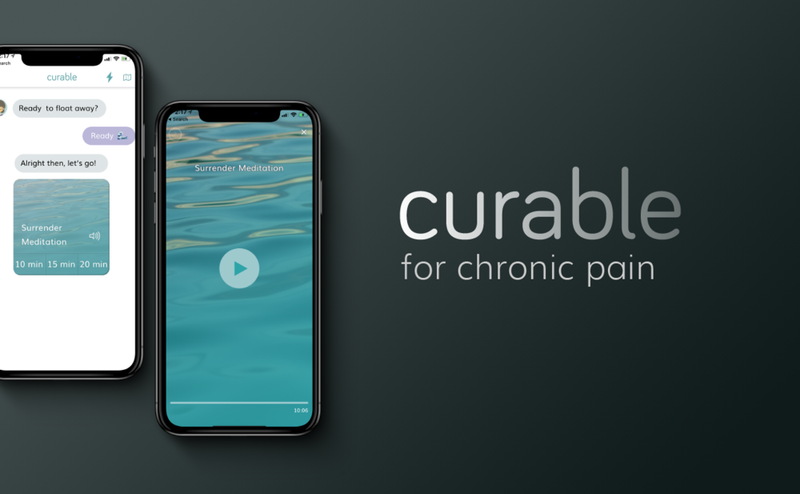 A great podcast by Curable and hosted by Laura Seago, interviewing PPD/TMS practitioners, recovered patients and sharing helpful thoughts on how to recover. 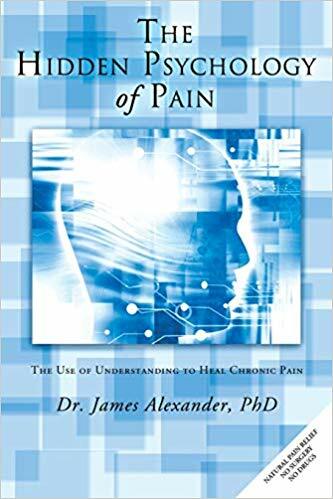 Discover how to conquer debilitating chronic pain by using a groundbreaking, self-directed approach pioneered by Dr. David Hanscom (PPDA Board). His methods have been used by hundreds of patients to eliminate chronic pain and regain control of their lives. CurableHealth.com - A mobile app for treating mind-body disorders at the level between a great PPD book and a session with a PPD Practitioner. Several of the PPDA Board members are also Scientific Advisory Board members of Curable. FreedomFromChronicPain.com - Howard Schubiner, MD (PPDA Co-Founder), and Hal Greenham, BSc. This company provides online PPD recovery programs for patients at three different pricing levels. Medical Myopia and Common Sense - Blog post by Howard Schubiner, MD commenting on several recent publications in the news media and scientific journals. SIRPA.org - The Stress Illness Recovery Practitioners Association founded by Georgie Oldfield, MCSP. SIRPA, like the PPDA, also educates health professionals on how to diagnose and treat PPD and provides patient resources (for-profit business). TMSWiki.org - Funded by the PPD/TMS Peer Network, a nonprofit run by Forest Smith, MA, MS (PPDA Vice President). The TMS Wiki focuses on TMS (aka PPD) recovery success stories as a healing resource for patients, with lots of forums for patients to share their stories and ask questions with a TMS/PPD practitioner monthly. Alan Gordon’s free pain recovery program is also available as one of many resources. UnlearnYourPain.com - Howard Schubiner, MD (PPDA Co-Founder). Online Mind-Body Program. We recommend evidence-based psychological techniques for diagnosis and treatment of (and relief from) persistent physical symptoms that are not caused by organ disease or structural abnormalities. We refer to this form of illness as Psychophysiologic Disorders (PPD) and the symptoms include chronic pain, medically unexplained symptoms, chronic functional syndromes and somatisation disorders. However, because a wide range of specialties has addressed these issues, the relevant science has been published in a very large number of journals making it a challenge to gather in one place. Consequently, few clinicians are aware of the quality and quantity of evidence supporting a psychological approach to PPD symptoms. This bibliography attempts to compile the best scientific research into a single document (136 research papers). We welcome recommendations for additions to the bibliography via emailing info@ppdassociation.org. This document includes an index to the clinical and scientific dilemmas addressed by the research followed by an annotated bibliography listed alphabetically by first author. We hope you find the evidence helpful in accounting for the excellent outcomes we observe in our clinical practice. We have a curated list of resources in additional languages for non-English speakers. Click here to view. If you know of more great resources in other languages, contact us by email to let us know.